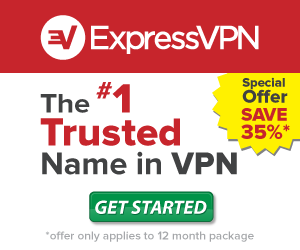 Private Internet Access VPN Service is a rapidly growing VPN provider that offers fast and reliable VPN service. The company, headquartered in New York, offers private browsing through state of the art, VPN tunneling technology supported by cutting edge infrastructure. In this unbiased Private Internet Access review, we look at the features offered by the service and check out whether it is worth the price. PrivateInternetAccess has 1235+ servers spread across 10 different countries. Apart from major countries like United States, Canada and United Kingdom; the company has servers in Germany, France, Netherlands, Switzerland, Sweden, Romania and Hong Kong. The company doesn’t charge extra for switching servers so you are free to change them as many times as you wish. PrivateInternetAccess doesn’t keep a log of its users’ activities. The service offers multi layered security and advanced privacy protection through VPN tunneling technology. The service operates at TCP/IP level which makes it ideal for use with most applications and not just the web browser. PrivateInternetAccess encrypts all its traffic so your private details are kept safe at all times even if you access the service through public Wi-Fi hotspots such as hotels and malls. This makes PrivateInternetAccess a great choice for bypassing ISP restrictions and accessing blocked websites like Hulu, Netflix, Pandora, Skype etc. PrivateInternetAccess service is powered by a cutting edge, multi-gigabit network. This makes it possible for the company to provide blazing fast speeds with little to no downtime. There are no speed or bandwidth limits which makes it an ideal service for playing online games, streaming movies as well as uploading and downloading huge files. However if you don’t have a fast internet connection then you may experience slight speed lag due to the use of multi-layered encryption technology but for most purposes, you should get best speeds without any lag or delay. Additionally, users can choose their own encryption level and other processes- data authentication and handshake so users can find the perfect balance between protection and speed. They recommend the default settings but here are two starting points, along with the default, to help find what a user is looking for. 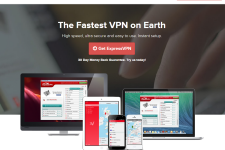 PrivateInternetAccess VPN service supports OpenVPN, L2TP/IPSec and PPTP protocols. The OpenVPN protocol is ideal for most workstations and laptops while the L2TP protocol is a great choice for most mobile devices. With such widespread support for different technologies, using the service from Windows, Mac, Linux, iOS and Android based devices is easy. The company also offers support for DD-WRT routers which makes it possible to use the service with many other devices. The set up is easy through an easy to install VPN client. PrivateInternetAccess offers customer support through a toll free number, live chat and email. Unlike other VPN providers, PrivateInternetAccess has its support staff located in US so you can call them during US business hours, which happens to be 24/7/365. The company also has a Facebook, Twitter, and Google+ pages and an online forum as additional support channels. 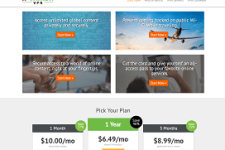 The unlimited VPN plans start from $6.95 per month, and there is a 7-day money back guarantee. You get 20% off if you subscribe to a 6-month plan and as much as 50% off when you subscribe to its annual plan. If you purchase a yearly plan, the fees can be as little as $3.33 per month. The company doesn’t offer a free trial but there are no long term contracts so you are free to cancel the subscription at any time if you are not happy with the service. Overall, PrivateInternetAccess delivers on its promise of safe and secure internet access. While the company doesn’t have a free trial or money back guarantee, it offers a great choice of servers at very affordable rates and blazing fast speeds with no bandwidth limits. So if you are looking for a fast and totally secure VPN service, PrivateInternetAccess would be a great choice for you. Learn more about Private Internet Access by visiting their site at: www.privateinternetaccess.com.